About one in three voters rents their housing. Paul van Reyk explores what the Tenants’ Union of NSW sees as the challenges facing government in delivering a better deal for tenants. The Tenants’ Union NSW (TU) is for Just Renting – the reform of tenancy laws that deliver greater justice in rental housing. There are six areas in which the TU most wants to see reform of the Residential Tenancies Act to achieve this. If you receive a ‘without grounds’ notice, you are not entitled to know the landlord’s reason for wanting to end your tenancy. This means that ‘without grounds’ notices can be used to terminate tenancies for a multitude of bad reasons, such as retaliation and discrimination. Further, when a landlord applies to the NSW Civil and Administrative Tribunal (NCAT) for termination orders following a ‘without grounds’ notice, NCAT must terminate the tenancy, regardless of the circumstances of the case or the hardship it would cause. It can refuse to terminate only if you prove that the termination notice is retaliatory – which can be hard to prove. ‘Without grounds’ notices should be replaced with a comprehensive list of reasonable grounds for termination, such as where the tenant is in breach of residential tenancy agreement, or the landlord wants to move in, or the premises are to be renovated such that vacant possession is required. When hearing applications for termination (on whatever grounds), NCAT should be allowed to refuse the order, considering the circumstances of the case, the relative hardship of the parties and, where a tenant is Aboriginal, the tenant’s cultural connection to country. Under the Act, if you are outside the fixed term of your tenancy, your landlord can give you notice to increase the rent by any amount they want. The only limit is the power of NCAT to order that the rent increase is excessive – but it is up to you to apply and prove it with evidence about market conditions and other factors. NSW is the only state or territory with no limit on the frequency of rent increases during periodic agreements. TU believes that where a rent increase exceeds the increase in the Consumer Price Index (CPI) over the relevant period, the onus should be on the landlord to prove that the increase is not excessive. Where the increase is less than the CPI, the onus should be on the tenant to prove that it is excessive. The frequency of rent increases should be limited to not more than once in 12 months. Under some tenancy agreements, you may have to pay your landlord a ‘break fee’ if you end your tenancy before the end of the fixed term. The Act sets the amount of the break fee at four weeks’ rent or, if you are leaving in the first half of the fixed term, six weeks’ rent. This is payable even though your landlord might rent the premises out again immediately after you leave. Break fees should be set at three weeks’ rent, which would provide reasonable compensation to landlords, without penalising tenants who have to move. Where a tenancy is ended before the date the tenant is to occupy the premises, there should be no break fee or compensation payable. Most tenancy agreements contain an additional term prohibiting you from keeping an animal without the consent of your landlord. It is common for landlords and agents to refuse consent, regardless of the circumstances. The law should be changed to prohibit terms that restrict the keeping of companion animals, except where the restriction reflects another law (for example, a strata by-law). Most tenancy agreements also set a maximum number of persons – including children – who may ordinarily live at the premises. Under the Act, there is nothing to stop landlords from setting an unreasonably low and restrictive maximum number. 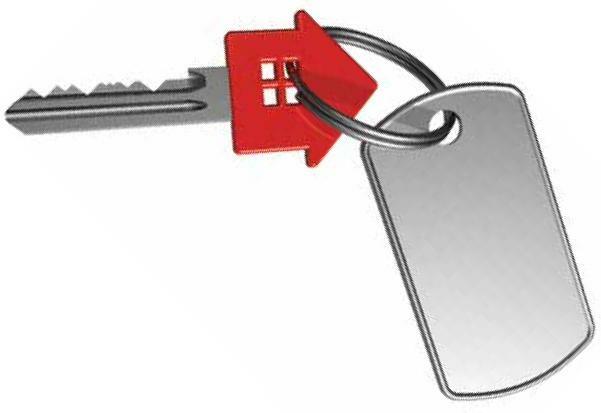 It is common for landlords and agents to set the maximum number of persons to simply reflect the number of persons in the application for the tenancy – and not the size of the property. The TU is aware of cases where landlords have refused to allow children to join a household, and have given termination notices because the addition of a child breaches the maximum number of persons allowed. The law should be changed to provide that the maximum number of residents must be reasonable, and that the term cannot be used to restrict the addition of a partner or child to the household. There are two specific areas for reform here; requiring the installation of electrical safety switches, or residual current detectors (RCDs) and window-limiting devices that prevent people – particularly children – from falling from windows. The Boarding Houses Act 2012 now covers some renters – residents of registered boarding houses – who previously were not covered under the Residential Tenancies Act. But still, many marginal renters are not covered, including residents of small boarding houses, lodgements in private houses, share houses, residential colleges, refuges and crisis accommodation. Their exclusion makes some of the most vulnerable in our community even more vulnerable. The TU advocates that all renters who are otherwise excluded from tenancy legislation should be covered by the occupancy principles set out in the Boarding Houses Act, with straightforward access to the NSW Civil and Administrative to deal with disputes. Social housing can be a lifesaver. However, we don’t have enough of it, and what we do have operates on terms that are often unfair, perverse and damaging. We need to grow the social housing system everywhere, with new stock built and existing stock maintained – and where there is a question of old stock being redeveloped or sold, there must be transparency and consideration of the views of tenants and local communities. We need to reduce work disincentives, particularly in public housing, so that tenants have nothing to lose from working. The physical standard of social housing must be improved, through repairs and maintenance processes that prioritise the work that tenants say needs doing. Recent needlessly harsh changes that result in long-term household members being evicted, even though they are eligible for social housing, should be reversed. Finally, social housing decision-making should be reviewable by the NSW Civil and Administrative Tribunal. Land tax is an important source of NSW state government revenue. Land tax also has the potential to improve housing affordability for purchasers and renters, and economic activity generally, by discouraging speculation in housing and encouraging productive uses of land. Our present system of land tax does not realise this potential, and should be reformed. The TU supports a broad-based land tax applying to all land, including land used for owner-occupied housing. Exemptions should be few and for the purpose of well-defined public policy benefits. The rate of land tax should be set so that it replaces other taxes – particularly stamp duties. Reducing the number of homeowners required to challenge a site fee increase to 10%. Setting upper limits for voluntary sharing arrangements. Requiring operators to compensate homeowners for the on-site value of their homes if the park is sold. Over $1 billion of tenants’ money is lodged as bonds at the NSW Rental Bond Board. This money generates tens of millions of dollars in interest each year: about $60 million in 2013-14. More than two-thirds of this money is paid to NSW state government agencies, primarily the NSW Department of Finance and Services, and the NSW Civil and Administrative Tribunal. A small portion is used to fund Tenants Advice and Advocacy Services (TAASs). Total funding to TAASs has not increased in real terms for over 12 years – despite the number of tenants growing by 25 per cent over that time. TU calls for funding to TAASs to be increased now by $5.2 million per annum and that this funding should grow in line with the number of tenants. We also call for more of the interest to be returned to tenants individually tied to the Commonwealth Bank’s Everyday Account rate for a deposit of $100,000 (currently 0.2 per cent per annum). The TU is running a campaign More Bang for Your Bond and you can get more information and join the campaign at yourbond.org.